At approximately 7:45 pm yesterday evening Corporal Brandin Sullivan conducted a traffic stop at the intersection of Pine and Hurst Street in Bronson. Corporal Sullivan spoke to the driver who identified himself as Mike Davis. Mr. Davis told Corporal Sullivan he did not have a driver’s license and was arrested. Corporal Sullivan handcuffed Davis and discovered he had narcotics in his possession when he searched Davis’ person. Davis was then placed into the back seat of Corporal Sullivan’s patrol vehicle. Corporal Sullivan requested back up and conducted a more thorough search of the vehicle Davis was driving. During this search more narcotics and drug paraphernalia were found. Corporal Sullivan also discovered the driver, Davis, has given a fictitious name. The driver was identified as William Justin Ford (12-21-90) who has a Bronson address. As Corporal Sullivan was completing his search, he heard a commotion in his patrol vehicle and saw that Ford has slipped his handcuffs to the front of his body and was able to escape on foot. Corporal Sullivan and back-up deputies gave chase. Additional LCSO units, K-9 Deputies and the Marion County Sheriff’s Office Air unit searched the area. However, Ford was able to escape. A warrant for the arrest of William Justin Ford, described as a black male and was last seen wearing red athletic shorts, no shirt and black tennis shoes, is being obtained. Ford has a history of drug possession and resisting arrest. Any person living in the Bronson area near Pine/Hurst Street is asked to be on the lookout for Ford. If seen IMMEDIATELY call 911. Do not attempt to approach or apprehend him. Kennith Baldinelli (17) of Melrose and Titan O. Chaney (15) of Middleburg stole a car to meet a girl in Williston. This was their first bad decision. When they got there, they ditched the first car they had stolen from the Melrose area of Alachua County. This vehicle was recovered by the Levy County Sheriff’s Office but no arrests were made because no suspects had yet been identified. The boy’s later stole a 2006 Pontiac from a residence near Williston. The duo then stopped by a local convenience store to get a cold drink. The store’s video surveillance system recorded the pair. This is also where a Williston Police Officer briefly spoke to the boys. The WPD officer had no reason to detain them since the Pontiac had not been reported stolen. The pair then abandoned the Pontiac at a store near the gas station and later stole a 2007 Chevy Silverado from a nearby home. This is where their plans fell through. The girl ditched them (smart girl) so the boys decided to take a road trip. This was their final poor decision, because the Williston resident and owner of the pick-up immediately reported his vehicle stolen. The truck was entered into a nationwide database as a stolen vehicle and the Tift County Sheriff’s Office in Georgia located and promptly arrested the two. They were placed in their juvenile detention center. Levy County Investigators were notified by Tift County they had recovered the truck and arrested them. LCSO investigators applied for and received juvenile pick-up orders to return Baldinelli and Chaney to Levy County where they will face two counts of grand theft of a motor vehicle. LCSO investigators have also been in communication with the Alachua County Sheriff’s Office and shared the information on these two. ACSO is expected to file additional charges in their jurisdiction. Levy County Sheriff’s Office Investigators solved two recent burglary and theft cases on March 20th with the arrest of Stephen Scott Albert Wyer (8-22-79) of Fanning Springs. Wyer was released from prison approximately one year ago after he was convicted for the production of methamphetamines and grand theft in Alachua County. 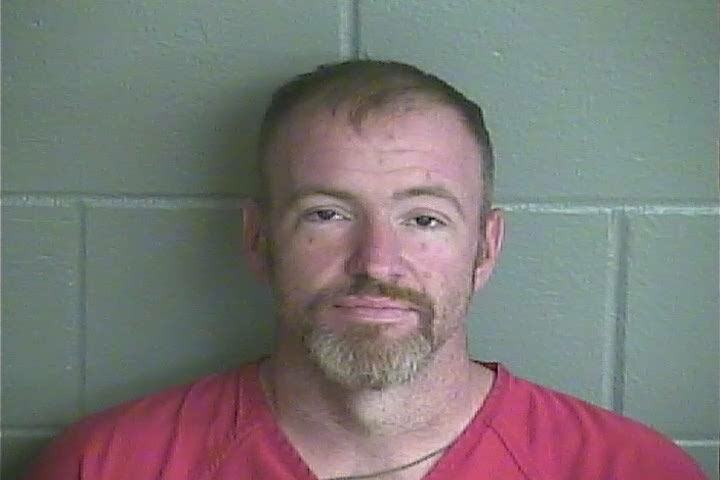 Since his release, he has stolen a washer and dryer from a home in Fanning Springs earlier this month and pawned them at a local pawn shop. Wyer also stole a .357 from his girlfriend’s father’s home too. Wyer’s girlfriend confronted him, so he returned the gun. Wyer has been arrested and charged with burglary, grand theft, dealing in stolen property, grand theft of a firearm and possession of a firearm by a convicted felon. He was booked into the Levy County Detention Facility and his bond has been set at $225,000.00. Three Williston teens were arrested by Levy County Sheriff’s Office investigators on Tuesday afternoon. Zachary L. Chism (14), Daniel Melendez (16) and Tyler A. Dutka (16) were taken into custody and have been charged with multiple crimes. Investigators Scott Stancil and CJ Perryman identified Dutka as a potential suspect while working on an unrelated investigation. The investigators subsequently identified Chism and Melendez after Dutka was interviewed. Residents in the area of the Williston Golf and Country Club discovered fuel, fishing supplies, a battery and a cooler had been taken from boats and trucks parked in their yards. The three juveniles cut fuel hoses, punctured gas tanks and stole items from boats and trucks during a February crime spree. The victims in four reported cases estimate losses due to vandalism and theft at over $1,500. The three juveniles were booked in at the Levy County Detention Facility and were later released to their guardians. These three will appear in the Levy County courts later to answer to these charges. On February 12, 2017 a single engine plane inbound to Cedar Key crashed into the Gulf of Mexico approximately 6 miles SSE of the island. 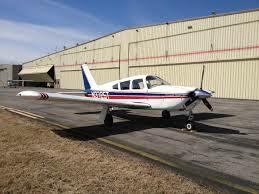 The pilot, Jasper Jerrels, passengers Hue Singletary and Dylan Jerrels perished. Both Jasper Jerrels and Hue Singletary were found by search crews. Dylan was not located. On March 1, 2017 the LCSO, assisted by the Alachua County Sheriff’s Office dive team, responded near the coordinates where the main fuselage of the downed aircraft was located. Dan Griffith, owner/operator of the volunteer organization Florida Sonar Search Team, located debris and requested divers take a closer look to identify the objects. ACSO dive team members located personal effects and bone fragments at this location. The bone fragments have been examined by the Medical Examiner’s Office and verified as human bone. Based upon the location where they were found and type of bone, it is believed these are the remains of Dylan Jerrels. Additional DNA testing will be conducted to positively confirm this. Sheriff McCallum vowed to continue the search for Dylan until he was located. He said, “I know this family personally and can understand the pain this family has to endure. I will continue this search until we can offer closure to Dylan’s family.” Search crews are scheduled to conduct additional searches in this same location later this week. Sheriff McCallum also expressed his thanks to all the agencies, other Sheriff’s Offices and all volunteers that have aided us in this search, especially Mr. Griffith. Their assistance has been remarkable and is very much appreciated.